Posted on 01 May 2011. 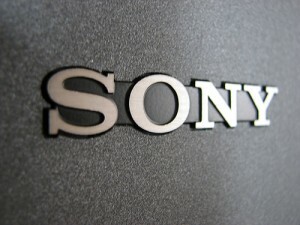 Sony Co., in a blog post Thursday, announced that every single important record from the breached credit card database last week was encrypted. But, security experts say it was not enough to fully protect the Sony PlayStation users and that consumer data might still be used by the hackers. On Friday, reports had been released saying the hackers may have obtained the consumer’s credit card numbers. However, evidences are not enough to verify its existence. According to security researchers, they have seen comments from Internet forums that tell how hackers have made there way to about 2.2 million credit card numbers, as well as the names of the customers, their addresses, usernames and passwords. Also, senior threat researcher at Trend Micro security firm, Kevin Stevens said he had seen the discussion about the database on various hacker forums. The discussions even indicated that the hackers of Sony’s PlayStation network wanted to sell the list of credit card for more than $100,000. If hackers have actually obtained the credit card records from Sony, researchers say encryption is not enough to totally protect the database. They believe that the data is still at risk with the lack of information released by the multinational corporation. Sony says they have no proofs that the credit card data was actually taken. However, if ever hackers have actually obtained millions of credit card numbers, researchers say encryption is not enough to protect the database. The incident raised discussions among privacy and security experts, saying a lot of valuable information is easily left at risk.